We strive to become our client's most valuable technology partner. Here is what some of our clients have to say about us. ACI Webs and Nomad Guides have worked to together to produce the BT4U mobile application with excellent results. While both companies are at the forefront of their respective fields, they both had a steep learning curve about transit operations. Over the last six months, the companies have worked hard to understand this industry and our peculiar need. The application development team has taken the time to ask, listen, and internalize our explanations about the nuances of transit operations. Ultimately, the outcome of this project will be a better approach to transit applications not just for BT, but all the customers of ACI/Nomad. 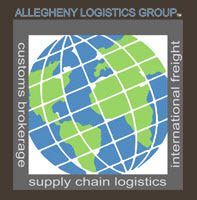 ACI did a great job creating our web site. They listened to our needs, and worked with us to create a site that is user friendly for limited updating. They have also been helpful in responding quickly to any needs we have had since the creation of the site. They are patient, professional and responsive. ACI provided a full, professional service when designing and building our website, as well as providing the training I needed to be able to make changes to the site as needed. I like knowing they are just a phone call away any time I have a question. ACI has been incredibly helpful in our transition from our old server to the new one, technical support has been quick to respond to our changing needs and address any issues that have occurred during the setup of our online store. Folks are friendly and response to any question has always been quick. As we look to the continued change of our web site we feel very confident ACI is the partner we need for success. Thanks. Choosing ACI to develop our website proved to be one of the smartest decisions we’ve made all year. The group had a very good understanding of what we needed and their design was right on the money. We had a very tight timeline and Ed and Laureen were always available to make our numerous copy changes quickly. We’ve had so many positive comments on our new site and have nothing but praise for the quality and professionalism of ACI. ACI is very responsive to our needs. Everything we do is online, and we always receive a prompt callback or email from someone at ACI. Their knowledgeable staff has helped us with major upgrades and minor problems. We would definitely recommend them as a primary business resource. The folks at Automation Creations, Inc. and New River Mobile are much more—and much better—than icing on a cake. In today's highly competitive new media environment, you better have a company behind you or beside you that knows application development from the truly utilitarian perspective. "Having an App" is not a phase. It's a tool and a channel that puts you in the closest (if not intimate) proximity to your customer. You're playing with fire if you only consider it "trendy." Our online presence is critical in serving our nationwide customer base of federal agencies and large corporations. ACI has been our provider of web hosting, e-commerce and electronic mail services for about two years. During that time, they have consistently demonstrated a high level of technical competence and customer service. Their responsiveness has been nothing short of spectacular. Website update requests are usually completed within hours - sometimes even within minutes! I am delighted to have found such a high quality service provider right here in the New River Valley. Thank you, ACI, for being a "partner" in our success! What could have been a nightmare was actually a seamless transition when we had to change web hosting firms. We are a K-12 private school with a very complex website. The team at ACI worked with me throughout the process of making the change and the end result was more than I could have asked. Tech support has been prompt and knowledgeable whenever I’ve had an issue. A “bonus” was the spam filter for email ! We used to be deluged with spam…but not anymore. It catches 90% of all junk mail. I would heartily recommend ACI to anyone needing a complete web hosting solution. During the initial development of a proprietary web-hosted application, I engaged ACI to assist with a feasibility analysis and an application relevance review. The thoroughness of their efforts pointed me toward optimal web and database solutions that met my design criteria. The competence and creativity of their developers and engineers gave me the comfort to use them to develop my web site, integrate back-end technologies and data bases, and to integrate a proprietary ACI store front into the framework of my site. ACI has now hosted my site for almost three years with no downtime and no site related issues. Bottom line: On time, on price, and on point with all activities with ACI. You [ACI} all have provided me with a beautiful and professional looking website with as much input as needed at any time. I have been able to give you our pictures and an idea of the quality that I am looking for and you all have been wonderful to work with—and have provided exactly what I had in mind. Everyone I have worked with has been extremely professional. Any requests that I have had have always been answered in a very timely manner. I want to thank you and your team for all the work you did to recreate our website. I know that we must have been a bit tedious to work with as the design work was secondary to our regular business obligations. However, your team was very helpful in making requests to us for information, sending reminders to keep the project on task and working with our other marketing and IT contractors to complete the project. From the first meeting with the ACI staff where we discussed the new website concept through to completion, your entire team was professional and responsive to our needs. After we first were introduced to the website, your staff was helpful in answering our questions, providing instruction on how to make changes and responded to questions we had while working on it ourselves. They ensured our success by giving us an intro to Joomla using a hands-on approach and by customizing the amount of attention and guidance we were given to fit our needs as we became more proficient in the program. Overall, Joomla is user-friendly and intuitive, so it makes adding new information easy while not sacrificing anything in terms of the website's content, appearance, and utility for our staff and our clients. I would recommend ACI, you and Ed to anyone seeking assistance in the web design area. I wanted to write to you today to express my tremendous satisfaction with Automation Creations, Inc. as the website hosting, design, and programming support company for my personal website, BeamerBall.com. Automation Creations, Inc. has been a major part of "Team BeamerBall" from the day we first launched the initial idea of the website in the summer of 2000. And I believe ACI has been an integral part of our success with the website over the past three years! My website manager keeps me informed and updated on the level of customer service and support he receives from your great team at ACI. He tells me that what whenever he has a need for Beamerball.com, that he can always count on the Automation Creations team to get the job done right. That's a business quality I value greatly. I'm proud to have Automation Creations, Inc. as part of "Team BeamerBall," and would certainly recommend your company's services to anyone interested in having a first-rate website! My work would be miserable without ACI! ACI helped us develop a look, image, and brand for a new program at Virginia Tech. They successfully took our vague concepts and ideas and create a complete website which captured our mission and goals. ACI was very professional; met our extremely aggressive timeline; and exceeded our expectations. We would not hesitate in using ACI for future projects. We enjoy working with ACI. They offer professionalism, expertise and great customer service. ACI is filled with creative ideas that help enhance our website and our office network, and they are always willing to explain the details in a manner that even someone who is not as computer savvy can understand. Since working with ACI, we have been able to make changes in our office network to be much more efficient & effective. We have also seen traffic to our website increase and we have been able to incorporate options that benefit our customers. On behalf of everyone involved with the PE Central site we want to let you know how much we have enjoyed working with you for the past two years. If you recall, we came to you with a site that needed many improvements and with your expertise and help you have helped us become the number one Internet destination in the world for health and physical education teachers. We have always been impressed with your expertise and work ethic and we truly appreciate how easy it is to work with everyone on the ACI staff. You make us feel welcome when we are at your offices and you work tirelessly to make the projects we bring to you the best they can be. We wanted to especially compliment you on your responsiveness when it comes to questions we have during a project and your support after the project has been completed. Whether it is via email or phone we can always count on you being there for us and that is very much appreciated by everyone at PE Central. We are looking forward to working with you in the future as we consider you to be a vital part of the PE Central team. Thanks again for all you do to support us and the thousands of physical educators who visit PE Central on a regular basis.